Power Distribution Sector Needs Skill Development and Soon! Home » Articles » Power Distribution Sector Needs Skill Development and Soon! Distribution companies need to undertake measures like smart metering, smart grid technology, switching to renewable sources of energy, adoption of blockchain in managing distributed energy resources and Artificial Intelligence. All of this calls for upscaling of existing workforce and preparing future power sector professionals to make strong impacts in the power sector. The need of the hour is to have well established training institutions to train and fill the scarcity of astute power sector professionals. Considering this, Tata Power Delhi Distribution Limited (TPDDL) has come up with Learning Centre which caters to the training needs of its workforce. The power sector faces an enormous shortage of workers with requisite competencies. With digitalisation driving across the value chain, skill development becomes imperative for the entire sector and all the more so in the distribution sector. 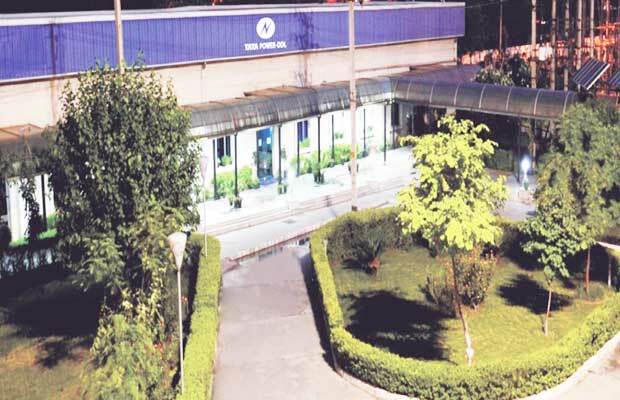 To help bridge the skill gap and to support the reforms and driving change management initiatives through capability building, Tata Power-DDL has set up a Learning Centre located at Rohini, Delhi. It is a Partner Training Institute for capability building initiatives of the Ministry of Power, through Power Finance Corporation (PFC) under Distribution Reforms, Upgrade and Maintenance (DRUM) Program and Accelerated Power Development Reforms Programme (APDRP), Restructured Accelerated Power Development Reforms Programme (R-APDRP) and Integrated Power Development Scheme (IPDS) programs. The learning centre provides training to the company’s own workforce as well as to personnel from other distribution utilities – both in India and abroad, at all levels to continually prepare them for the existing technologies and future competencies in the power distribution sector. The learning and development strategy of the institute is focused on a comprehensive approach for employee development targeting the organisational, departmental and individual developmental needs encompassing the current and future core competencies. The centre helps DISCOMS to learn and implement operational efficiency improvements through customized training programs as per need analysis. Tata Power-DDL provides consultancy services to over 20 state utilities in various fields and customised training programs are delivered for sustainable competency development of the utility officials. State-of-the-art laboratories with latest technology simulations including the Smart Grid Lab, Transformer Workshop, Meter Diagnostic Lab, SCADA center, Protection and Testing Lab, RMU workshop, AMR Diagnostic and Analysis Center, Solar Plants, GIS Development and Analysis Center etc. as well as Hands-On-Training by experienced subject matter experts act as unique differentiators to the L&D excellence of Tata Power-DDL. State utilities have benefitted by reducing Aggregate and Technical losses by firsthand knowledge from subject matter experts through customised training programs. The institute has trained over 6600 engineers and officers in 36000 mandays from Punjab, Madhya Pradesh, Chhattisgarh, Haryana, Maharashtra, Kerala, Uttaranchal, Himachal Pradesh, Assam, Manipur, Goa and other State Electricity Boards (SEBs) etc. Moving beyond domestic boundaries, Tata Power-DDL is expanding its services to international utilities and is doing significant work in the African, central Asian and Indian sub continent. Tata Power-DDL has been able to provide synergistic value to utilities undergoing reforms process in their countries and those who want to upgrade themselves to become a smarter utility of the future by implementing the Information and Operational Technologies. Tata Power- DDL has many successful deliveries for its clients to its credit in domains ranging from implementation of complex IT projects to giving valueadded consultancy services in countries including Nigeria, Rwanda, Mozambique, Sierra Leone, Zanzibar, Uganda, Mauritius, Bangladesh, Yemen, Central Asia and more. 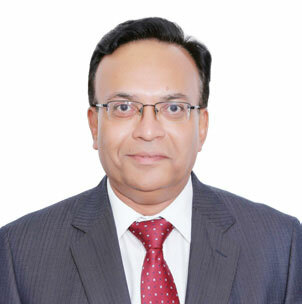 As part of the consultancy program, Tata Power-DDL also provides training to overseas utilities and offer programmes such as customised training programme for engineers/ officials in commercial, operations, IT, finance and contracts on best managerial practices, financial management and accounting system, IT, best practices in distribution and smart grid technology adoption et al in the power distribution. The programmes have been organised for delegates from countries like Afghanistan, Bhutan, Nepal, Myanmar, Sri Lanka, Mauritius, Nigeria, Ghana, Ethiopia, Gambia, Guyana, Kenya, Rwanda, Tanzania, Uganda, Zambia, Ecuador, Kyrgyzstan, et al and has trained hundreds of officials from foreign Utilities. Tata Power-DDL has also established Global Training partners in the USA and Europe. Several programs have been facilitated internationally, in order to align Senior Power Sector officials with future technologies in the power sector. Programs on Smart Grid at USA – Raleigh and Capability Building Programs on Integration of Renewable Energy Resources in Germany and Spain have been effective in creating a niche in capability building. Tata Power-DDL has also collaborated with leading international and national institutions like Harvard, MIT, UCLA, IIT and other Engineering Colleges, to carry out research activities in emerging technologies. It is the only Indian utility which is a partner of Global Intelligent Utility Network Coalition, a coalition of 14 power utilities worldwide for driving the energy industry transition, accelerating the development of common standards, technology solutions and processes for intelligent networks resulting in process improvements for an effective smart grid technology implementation. In the past few years, Tata Power-DDL has undertaken global learning exchange for benchmarking best practices with global utilities. The technical competence of Tata Power – DDL is also strengthened by DOSEC (Distribution Operations & Safety Excellence Centre), which is accredited by CEA (Central Electricity Authority, Ministry of Power) as the only Category 1, Grade B institute in power sector in India. DOSEC is also affiliated with Skill Council for Green Jobs (SCGJ) as a training provider in the area of renewable energy like solar energy. SCGJ is aligned to the most recently launched initiatives of the GoI under National Skill Development Mission, promoted by MNRE (Ministry of New and Renewable Energy) and CII (Confederation of Indian Industry). The centre trains operational staff on operating various distribution equipment like distribution transformer/power transformer, switchgear, energy meters, overhead conductors, cables, etc. with a focus on actual and demonstrable performance to create skilled manpower for its workforce and other state electricity utilities. In this new environment of technological opportunities, power distribution utilities need to have a knowledge sharing process which would play a key role in the transformation of the power sector. Distribution companies need to undertake measures like smart metering, smart grid technology, switching to renewable sources of energy, adoption of blockchain in managing distributed energy resources and Artificial Intelligence. As a leading power distribution company, Tata Power- DDL has introduced several firsts in the distribution sector and believes in passing on its practical knowledge to other DISCOMS. 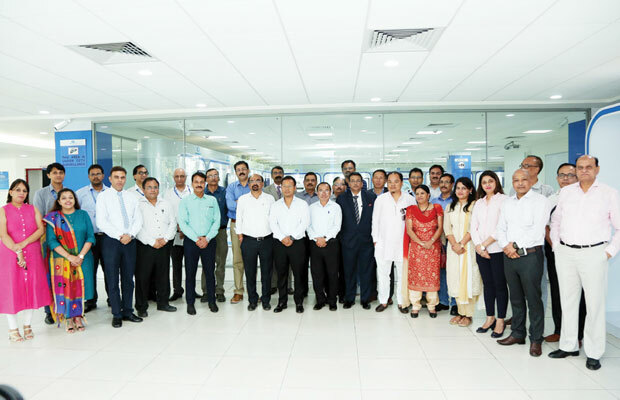 Through its training centre, Tata Power-DDL is not only sharing the existing best practices but also training other DISCOMS on the futuristic technologies for the overall development of the power sector. Tata Power-DDL’s Learning Centre is also tying-up with several technical universities to help train students as per the immediate needs of the distribution sector and is also planning to start e-learning courses for the distribution sector. Tata Power-DDL carries the distinction of being the first success story of power sector reforms in Delhi under the Public Private Partnership (PPP) framework and is acknowledged for its superlative performance and remarkable excellence journey. The company has been conferred with several accolades including the ‘National Award for Meritorious Performance’ five times by the Ministry of Power and has been recognised as ‘2nd Best in Class – Energy, Oil and Gas Industry’ by the Great Place to Work Institute, India.